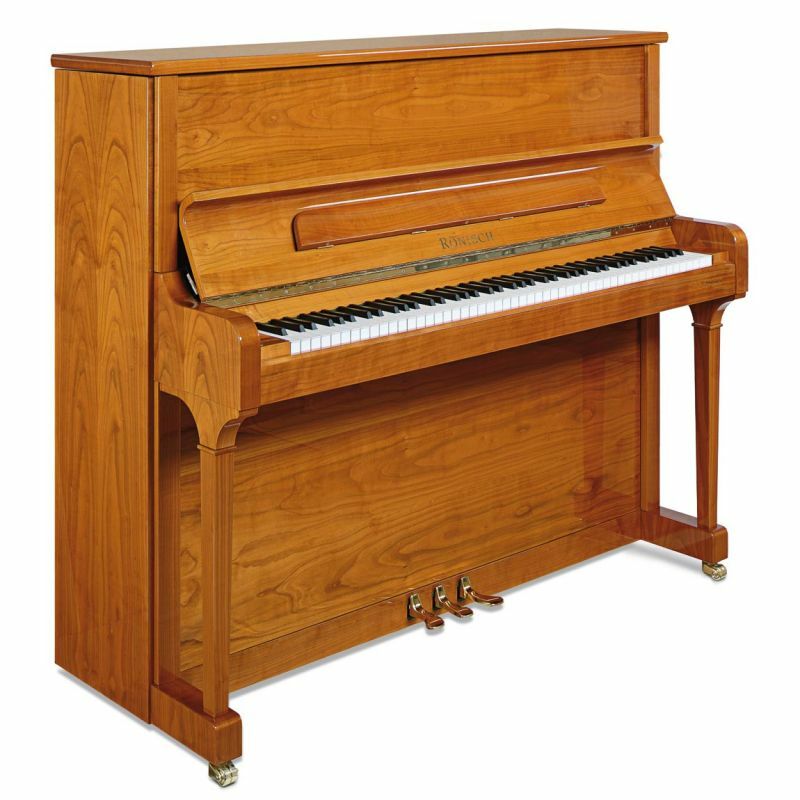 The Model 118 produces surprising depth and range of sound in a classic European contemporary studio upright piano. 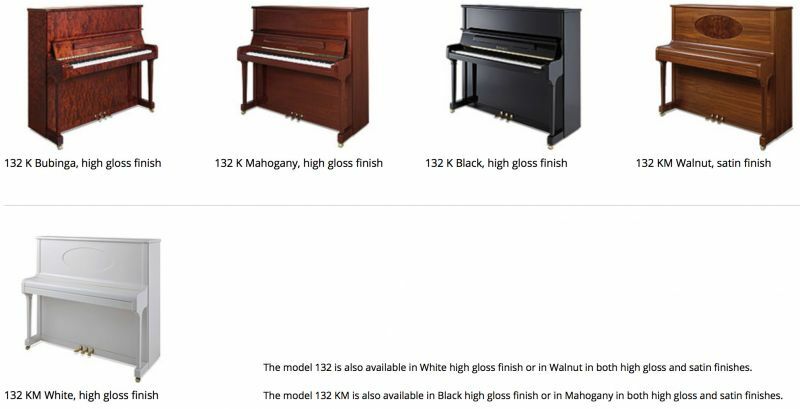 It is available in a wider variety of distinctive styles and select woods including exotic inlays, rare veneers, unusual colours and fine satin and high gloss finishes. 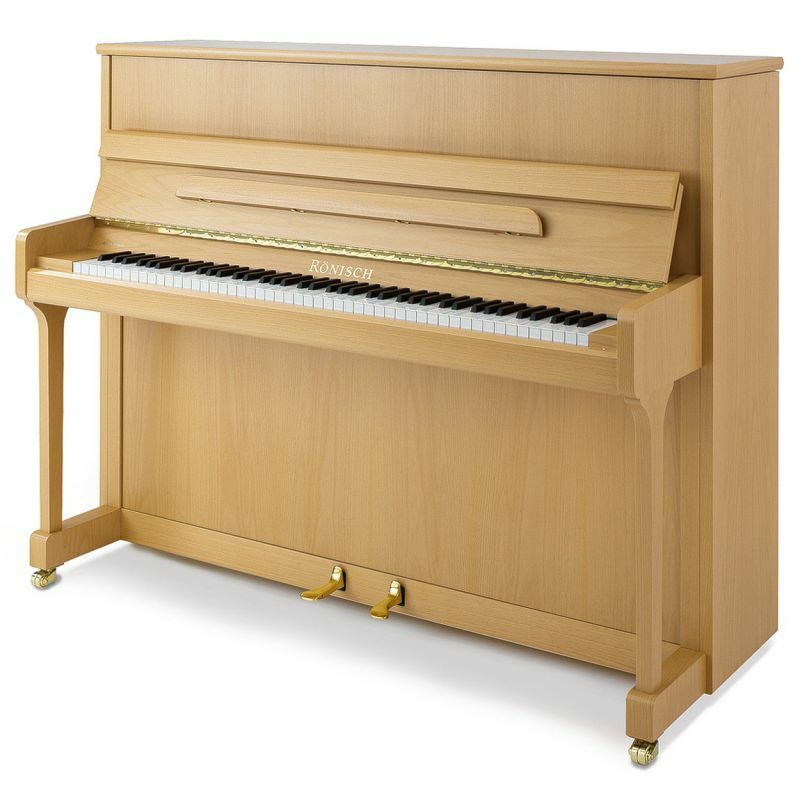 The simple elegance and cultivated tone of this smaller upright piano provide a fitting introduction to the distinguished RÖNISCH family of fine pianos. 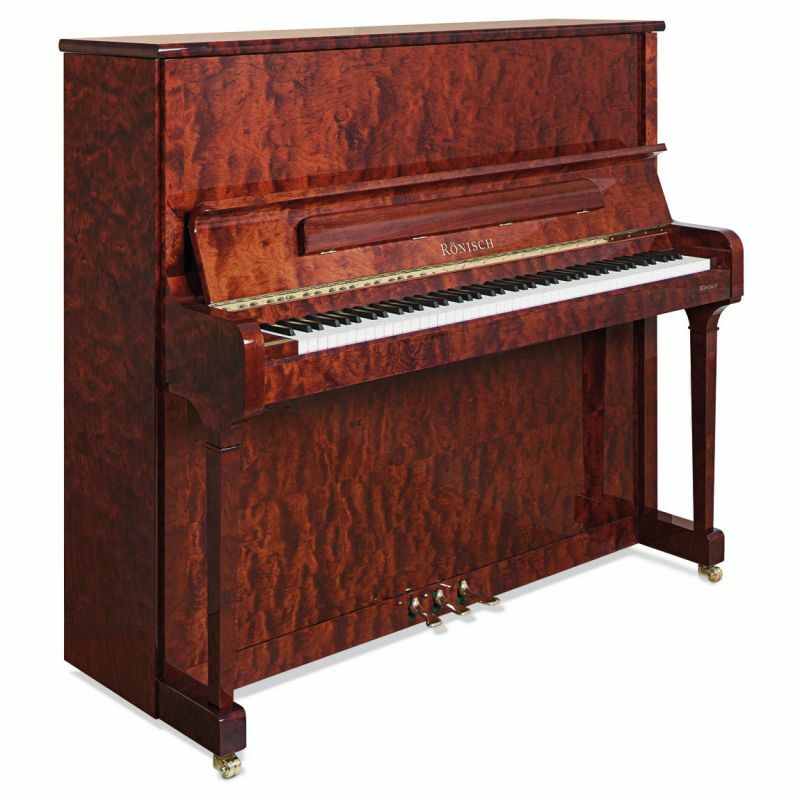 Rock-solid back-frame, grand-lenght strings, expansive soundboard, lightning-fast grand-length keys – the avantages of a fine grand piano are evident in the superb engineering of the tallest Model 132. Massive bass power and crystalline treble projection attain the ultimate in musical variety and nuance. Complex orchestral harmonics blend in an infinite palette of tonal colour – the Rönisch sound for those who desire the very best in an upright.